“How is the 30A home real estate market?,” you ask. 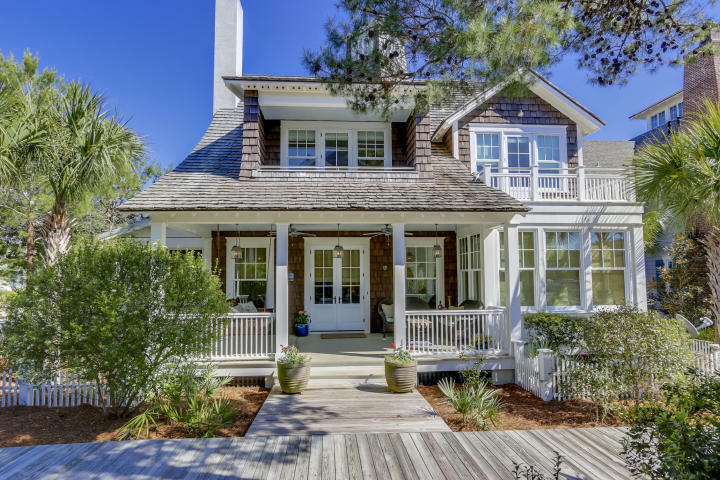 Since it would take a long time to discuss the micro-markets along 30A, because each beach neighborhood and price range is unique. Perhaps the best way to answer the question is by showing you the 30A home sales. In particular, we will compare sales during the month of October, going back as far as 2002. The lowest quantity of sales for any October going back to 2002, was Oct 2007, when we had only 16 reported home sales along the 30A corridor, according to the Emerald Coast Association of Realtors (ECAR). 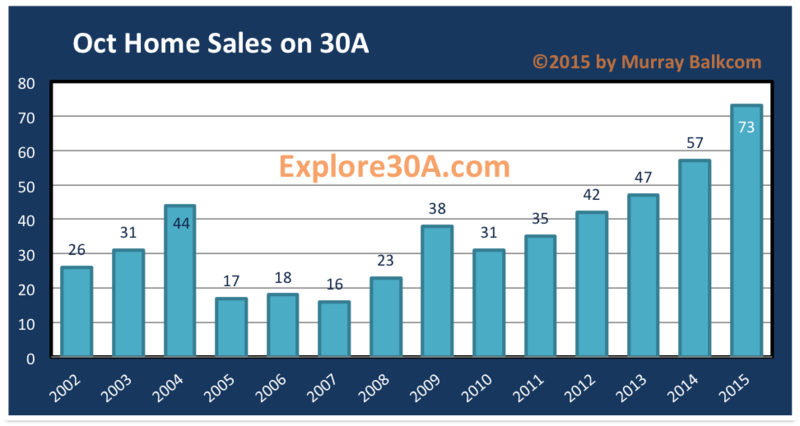 The highest quantity of 30A home sales for the month of October was this year (2015) with 73 reported to ECAR. 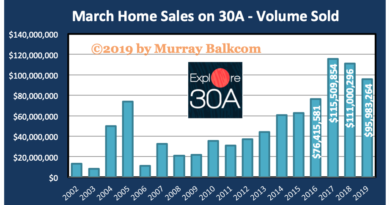 When comparing dollar volume for 30A home sales in October, the lowest volume of 30A home sales was in October 2002, with $12.9 million sold, and the highest volume sold was in October 2015, with $80.2 million according to ECAR. 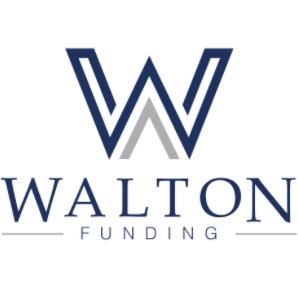 For October 2015, the average price for 30A home sales reported was $1,156,002, with the median sold price of $655,000. The average days on market (DOM) was 138. The DOM continues to remain fairly steady. The sold price to list price ratio was 95%. Since late September 2013, this number has remained strong, fluctuating between 95-96% each month. For many years, this ratio was much less, hovering around 89%. This current ratio represents the fact that the average seller is more correctly pricing their property, and buyers are realizing this, coming in with stronger offers. There are still many cases where multiple buyers are making offers on a property which sat still for a while. 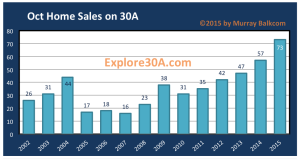 Inventory levels 30A homes have remained level since 2011, and we currently have 613 homes listed in the 30A area. 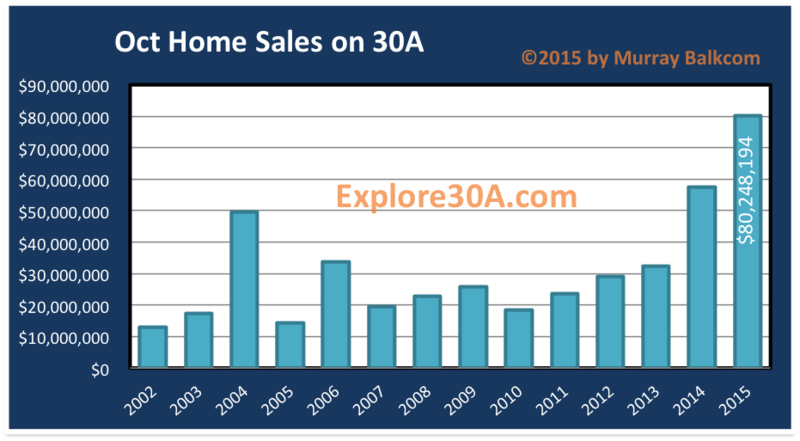 Compare that to the 2006-2008 market, when inventory was about double that, with more than 1,000 homes on the market on 30A.